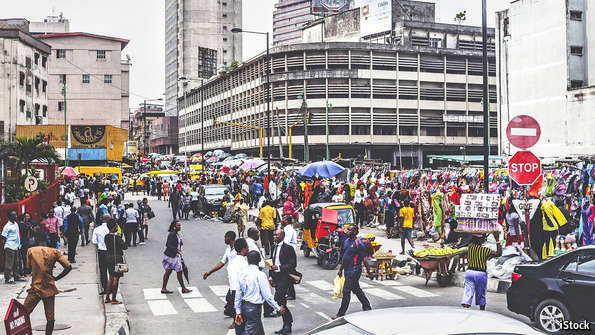 Other Nigerians, (particularly those who have never been to Lagos, or have only paid one or two cursory visits to the center of excellence) tend to be of the notion that Lagosians are at best strange, and at worst plain crazy. I won’t say I blame them much. If I wasn’t born and bred in the intriguing city, I would probably think the same way (not that I don’t think that way sometimes). But that’s the purpose of this piece – to make non-Lagosians understand the inhabitants of the most populous city in Nigeria. There are no gentlemen/ladies: The Lagosian looks the part when he is going to work or attending an event. When it comes to fashion, no other city comes close. We set the pace and hold all the aces. But don’t get it twisted – That “gentleman” who’s dressed like he just stepped out of a GQ magazine cover can lose their home training faster than you can say “Muhammadu Buhari.” Anything can trigger the Lagosians short fuse, anything can rob him off the wrong way. A man in his well-tailored three-piece suit can divest himself of those items of clothing in a flash, ready to engage in a brawl because somebody said made an unsavoury remark. Two beautiful girls can decide to strip each other naked in broad daylight because of another woman’s husband. Never let looks fool you, in Lagos there are really no quiet people. The next quarrel or fight is always simmering beneath the surface of an apparent calm. Lool… Eko-Ile… Eko4Show… LasGidi… damn I miss Lagos ???? Can stop laughing. Well captured. Meant to write CANNOT STOP LAUGHING. “Do you know who I am?” We hear this almost on daily basis. So funny,infact everybody is somebody. Lagos for show! I honestly wonder how that question became a thing in Lagos. I love I love I love! Although, aren’t you quiet? Thanks, Fisayo. On whether I’m quiet or not, lol, I’ll plead the fifth on that one; or let’s just say it depends on who you ask.